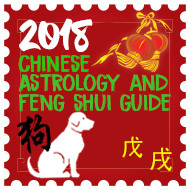 Metal Cures in Feng Shui formulate an outstanding remedy when the evil energies as the 5 Yellow Star and 2 Black Star choose to take up annual residence in your home. The following Metal Cures will weaken the negative energies of these stars that will cause bad luck, ill health, mishaps, legal problems, accidents and just an overall run of bad luck. Most Feng Shui Practitioners make the mistake of trying to control the nasty energy of the 2 & 5 with wood thus causing conflict. Metal is an element that weakens earth, if you imagine a metal spade digging up earth, you will never control it but will weaken it. Wood on the other hand controls and destroys earth, imagine a tree's roots in the ground they would break up the earth and this would cause many problems from chronic illness to very bad luck. All our products come with full instructions on where to place for current year. Eight I-ching coins tied together with red ribbon, they are strung in a circle together with a wealth ingot offering perfection as an enhancer especially if placed in the southeast in 2011. These coins represent fame, fortune, wealth and success. This is a very traditional enhancer for the #6 Wu Qu star that occupies the southeast palace in 2011, the 8 coins represent totality and because the southeast represents the wood element this is why you use the eight coins as the number eight is earth based and represents wealth, combined with the #6 star so a perfect element enhancer in the cycles especially with the jade effect stones. These coins represent fame, fortune, wealth and success. You also need this cure in the southeast in 2011 to weaken the undesirable influences of the monthly stars #2 and #5 which will visit in April, July and January. They can also be used as Wealth enhancers and be placed over your main entrance or placed inside your accounts book. For your studies, you may use the coins as a bookmark. Overall length approx. (200mm - 7.5 inch) Full instructions for placement included. All our products are cleansed of negative energy and empowered with positive Sheng Ch'i. Supplied standard with all 2011 cures kit. Please note that US, Euro and Canadian currency conversions are for guidance purposes only. You will be charged in GB pounds. A powerful wealth and romance enhancer and protector in one imposing charm. All the wealth enhancers you can think off in one powerful charm enhancer. The Dragon represents wealth and protection and catalyst to enhance further, along with three beautiful i-ching coins giving ultimate protection and enhancement of wealth making this the perfect enhancer and also protector of wealth, business and career. The three Chinese i-ching coins are a very special yang Dragon coins which work at a very high level offering extremely powerful and traditional protection. They are tied with bright red ribbon to form part of the cure. This is such a nice traditional cure and enhancer and this year it should be placed in the northeast. Made from a nice good quality weighty metal. Overall length approx. (280mm - 11 inch) Full instructions for placement included. All our products are cleansed of negative energy and empowered with positive Sheng Ch'i. Supplied standard with all 2011 cures kit. All the wealth enhancers you can think off in one powerful charm enhancer. The double Carp's represent wealth protection and catalyst to enhance. The three coins in a row represent a trinity of enhancement and the ingot supported by all, making this the perfect enhancer and also protector of wealth and business. I love this cure and to make the most of it in 2011, place it in the northeast or southeast; it will not only increase wealth but can activate romance as we have strong peach blossom in 2011. Overall length approx. (300mm - 12 inch) Full instructions for placement included. All our products are cleansed of negative energy and empowered with positive Sheng Ch'i. Specially made for us for the Yin Metal Rabbit year (Xin Mao) in 2011. 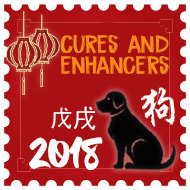 This extraordinary cure carries a very special power to turn bad into good, in that it has been embedded with a powerfully empowered Sheng chi charm for added protection and enhancement. This really is a very protective cure you can use and also a powerful cure for the #2 Ju Men star in the south in 2011, for illness you would place beside your bed, for study, creativity and business on your desk. 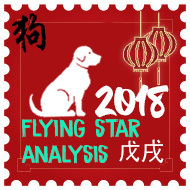 For flying star you would use it with the #2 & #5 to ward of bad luck and for #6 star for legal problems and protection against business competitors which is located in the southeast in 2011. This is such a nice traditional cure and enhancer and this year it should be placed in the south or southeast in 2011. Made from a nice good quality weighty metal. Overall length including tassels approx. (300mm - 11.5 inch) Full instructions for placement included. All our products are cleansed of negative energy and empowered with positive Sheng Ch'i. Supplied standard with 2011deluxe cures kit. Wealth, protection & romance amulet for 2010 (Shi Dong Wu). All the wealth enhancers you can think off in one powerful charm enhancer combined with wealth protection which is so important in 2010, especially for those with an important room in the northeast or females. 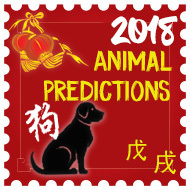 Eight auspicious I-ching coins tied together with red ribbon, they are strung in a circle together with all of the twelve Chinese animals in their strongest form which is a circle offering protection as an enhancer and cure especially if placed in the northeast in 2010. These coins represent fame, fortune, wealth and success. Eight is the number of completeness to the Chinese and also the symbol of infinity and also synergetic to romance. They can also be used as protector of wealth and be placed over your main entrance or placed inside your accounts book. For your studies, you may use the coins as a bookmark. Overall length approx. (270mm - 10.6 inch) Full instructions for placement included. All our products are cleansed of negative energy and empowered with positive Sheng Ch'I Supplied standard with all 2010 cures kit. Ten extremely auspicious Chinese i-ching coins tied with red ribbon in a certain order. This is a very traditional and authentic enhancer for the #1 flying star that occupies the northeast palace in 2011, the 10 coins represent totality and because the northeast represents the the youngest son this is why you use ten special i-ching coins as the number ten represents wealth, protection and good luck, combined with the #1 star. These coins represent fame, fortune, wealth and success. You also use this powerful and much needed cure to weaken the undesirable influences of the monthly stars #2 and #5 which will visit in February, August and November 2011 and the reason why they should be placed. You can also place them in your purse/wallet, handbag, accounts books, till, cash tins etc to attract wealth and abundance. They can also be placed in your wealth area (SE) to attract auspicious money luck. Overall length including tassels approx. (428mm - 16 inch) Full instructions for placement included. All our products are cleansed of negative energy and empowered with positive Sheng Ch'i. Dragon & Phoenix amulet (Lung Huang) . This extraordinary cure carries a very special power to turn bad into good, in that it has been embedded with a powerfully empowered Sheng chi amethyst quartz crystal for added protection and enhancement. This really is one of the most protective cures you can use and also a powerful enhancer for the #6 star, for illness you would place beside your bed, for study, creativity and business on your desk. For flying star you would use it with the #2 & #5 to ward of bad luck and for #6 star for legal problems and protection against business competitors. This is such a nice traditional cure and enhancer and this year it should be placed in the southeast in 2011. Made from a nice good quality weighty metal. Overall length including tassels approx. (390mm - 15 inch) Full instructions for placement included. All our products are cleansed of negative energy and empowered with positive Sheng Ch'i. Wealth protection trinity talisman (San Bao - three jewels). These are a unique enhancer and protector for wealth with three auspicious Chinese i-ching coins tied together with red ribbon to form a triangle which is the strongest of all the geometric shapes, The three i-ching coins represent a trinity of prosperity enhancement (San He) and the top is tied with a lucky knot and combined with double tassels at the bottom to make this a very commanding cure and enhancer in 2011 and must be placed in the southeast of your home or northeast of your office/study. You can also place them in your purse/wallet, handbag, accounts books, till, cash tins etc to attract wealth and abundance. They can also be placed in your wealth area (SE) to attract auspicious money luck. Not only are they from a good dynasty they are empowered with powerful Sheng Ch'i energy making them even more influential. Wealth, protection & romance amulet (Cai xiu). All the wealth enhancers you can think off in one powerful charm enhancer combined with wealth protection which is so important in 2011. The double Carp at the bottom (earth palace) represent wealth protection and a catalyst to enhance. The double Dragons at the top (heaven palace), making this the perfect enhancer and also protector of wealth and business. Combine all this with the three level metal Pagoda in the centre Ming Tang palace, it is the ultimate protection against legal and wealth problems in 2011. Can also activate romance as we have strong peach blossom in 2011. Place in the northeast in 2011. Eight I-ching coins small (From only £2.90 each) . Eight I-ching coins tied together with red ribbon. This is a very traditional enhancer for the #9 star that occupies the west palace in 2011. The 8 coins represent totality and because we have conflict in the west with metal meeting fire which is a fire burning heaven gate combination, you use eight coins to calm the interactions between these two elements. These coins represent fame, fortune, wealth and success. Place them in your purse/wallet, handbag, accounts books, till, cash tins etc to attract wealth and abundance. They can also be placed in your wealth area (SE) to attract auspicious money luck. Overall length approx. (245mm - 9 ½ inch) Full instructions for placement included. All our products are cleansed of negative energy and empowered with positive Sheng Ch'i. This is an extremely high quality brass Tortoise, the top shell is hinged. You should place an I-Ching coin (included) inside along with a wish list of all your dreams. This really is a very nice quality with a good weight. This powerful cure and enhancers is also used to protect wealth and placed in the south and east in 2011 or to enhance wealth you should place in the northeast. Size (80mm - 3 inch) . Eight I-ching coins tied together with red ribbon, they are strung in a circle together with a wealth ingot offering perfection as an enhancer especially if placed in the west in 2011. These coins represent fame, fortune, wealth and success. Eight is the number of completeness to the Chinese and also the symbol of infinity. They can also be used as Wealth enhancers and be placed over your main entrance or placed inside your accounts book. For your studies, you may use the coins as a bookmark. Overall length approx. (260mm - 10 inch) Full instructions for placement included. All our products are cleansed of negative energy and empowered with positive Sheng Ch'i. A little known cure and not the sort of thing you would normally see on a Feng Shui website, this is one of the most powerful countermeasures to use against negative buildings overlooking your home or office (even more powerful than a Ba Gua mirror). In Hong Kong you will see them mounted on top of large corporate buildings. If you face a building that had Sha Chi (poison arrows) you would place this cannon on a windowsill pointing towards it. If you had a competitor who was being unfair and trying to put you out of business or a neighbour who was causing you problems, you would place the cannon in the direction of that person or their building. A very powerful and little know ancient cure. This cure is also used for weakening #2 & #5 stars Made from solid brass and weigh an impressive 600gms, a perfect weight and size. Full instructions for placement for current year included. (100 (h) x 160 (L) mm - 3 ¾ x 6 ¼ inch) Weight 600gms As always all our products are cleansed of negative energy and empowered with positive Sheng Ch'i. Full instructions on use as a singing bowl or for cures placement. This really is a lovely piece; obviously the larger one has a deeper sound although the small one is very impressive. As always all our products are cleansed of negative energy and empowered with positive Sheng Ch'i. Also a good cure for the #2 & 5 sickness stars. This heavy polished brass pot has a lid embedded with Mother of Pearl and comes with 8 Chinese I Ching coins and piece of Jade Quartz to place inside. Not only does this magnificent vessel enhance wealth it is also a cure for sickness stars. You should fill the inside with precious items like jewellery and coins and also a wish list of your desires. Instructions for placement for current year included. This really is a lovely piece. As always all our products are cleansed of negative energy and empowered with positive Sheng Ch'i. This heavy polished brass wealth pot has a lid embedded with Mother of Pearl as well as the vessel itself and comes with 8 Chinese I Ching coins and piece of Jade Quartz to place inside. Not only does this magnificent vase enhance wealth it is also a cure for sickness. You should fill the inside with precious items like jewellery and coins and also a wish list of your desires. Yet another one of my favourites and a good cure for the #2 & 5 sickness stars. Brass Fu Dogs on wooden plinth. Heavy brass Fu Dogs also known as Temple Lions standing impressively on a wooden plinth. These really are magnificent and weigh a hefty 600gms. These protective guardian animals should be placed by your front or rear door or any windowsill. Also a very good metal cure for the #2 & #5 sickness stars. Instructions for annual placement included. All our products are cleansed of negative energy and empowered with positive Sheng Ch'i. The Wu Lou should be placed in your home or office to weaken the 2 & 5 bad earth stars (full instructions for current year included). This will absorb the negative energy of the 2 & 5 illness stars. They are made beautifully hand made exclusively or us in China from a heavy polished brass and weigh a hefty 140 grams. Known as the "Giver of life" it can also be placed beside the bed of someone who is ill or recovering, they are traditionally used to improve health and good luck. 50mm height. These are a fine quality and sit on a polished copper stand, and look superb. The Dragon is deemed the luckiest and most sacred figure in Chinese folklore. It reputedly has absolute power and symbolizes honour, power and all that is right. Dragons enhance fame and career prospects and should be placed near a door or window in order to guard your wealth and health. They are a very powerful protection cure for your home or office. Probably the most essential cure to use in every building especially if you find that you are getting bad luck, sore throats, loss of wealth or constant sickness you will need to place a little known cure called a "salt water cure", this powerful cure will dissipate and clear all negative energy, they are actually amazing, place in the south & east for 2011 or any other area that has a #2 or #5 stars in it. All the coins we sell are coins that come from a good Dynasty and have been cleared of negative energy and empowered with positive energy, this is important to make the cure more effective, Complete with twelve Chinese I-Ching coins (2 cures) and full instructions for placement for 2011, all you will need is a large glass jar (jam jar is fine), some normal salt and water. All our products are cleansed of negative energy and empowered with positive Sheng Ch'I Must be replaced every year. Instructions on disposal of old kit are included. Supplied standard with all 2011 cures kit. 6 Chinese I-Ching coins tied in a row. An extremely powerful and ancient cure and one we have used in our home and business for the last 30 years and this particular set of coins were special made for us and are the best we have ever found, they are absolutely stunning and so effective. Place this line of six bronze finish I-Ching coins in the south and east of your home or office to weaken the 2 & 5 bad earth stars for 2011. You can also use them in the northeast this year to enhance wealth. These can also be used as bookmarks or placed in accounts books/portfolios to enhance wealth. Superb quality and weight and cleansed of negative energy and positively empowered with Sheng Chi. Full instructions for placement for 2011 included. All our products are cleansed of negative energy and empowered with positive Sheng Ch'I Overall length approx. (380mm - 15inch) they really do not come any better than this. Two supplied standard with all 2011 cures kit. Also known as Quan Yin Goddess of mercy and compassion. It is said that anyone who calls on her will be rescued from harm and bad health. When placed in a room she cleanses the home of negative influences, including arguments, martial problems and illness. Kwan Yin is also the protector of all children and women and brings compassion and love into your home. A must for anyone looking to strengthen or enhance a relationship with your partner or children, she also is said to enhance fertility. Made from brass and stands on a wooden plinth, and comes presentation boxed.